Sally Bliumis-Dunn teaches Modern Poetry and Creative Writing at Manhattanville College. Her poems have appeared in BigCityLit, Lumina, Nimrod, The New York Times, The Paris Review, Prairie Schooner, Poetry London, RATTLE, Rattapallax, and Spoon River Poetry Review. In 2002, she was a finalist for the Nimrod/Hardman Pablo Neruda Prize. 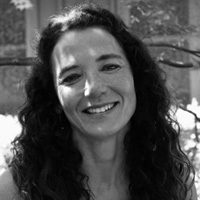 Her manuscript, Talking Underwater, which has been a finalist for The University of Arkansas Press’ First Book Prize in 2006, a semifinalist for The Kenyon First Book contest in 2002, the Bright Hill Press in 2005 and a finalist for the Richard Snyder Poetry Prize from Ashland Press in 2006, was published by Wind Publications in 2007. In 2008, she was asked to read in the “Love Poems Program” at the Library of Congress. Second Skin was published by Wind Publications in 2010.